INCOMING SOLAR WIND: A relatively weak stream of solar wind is expected to brush against Earth's magnetic field on Dec. 28-29. NOAA forecasters estimate a 10% chance of polar geomagnetic storms during the next 24 hours. Aurora alerts: text, voice. 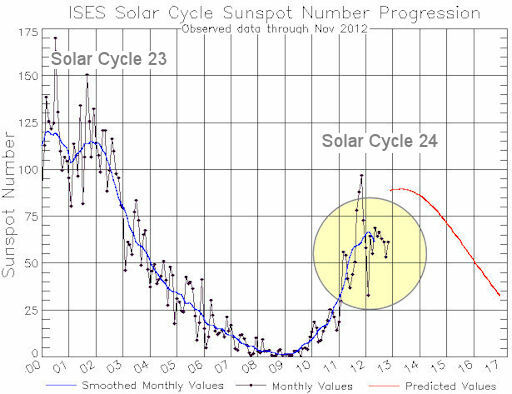 There is still a strong chance that Cycle 24 will rebound and peak in 2013 as expected. It might even be a double-peaked cycle like the cycle before it. As 2013 nears only one thing is certain: we don't know what will happen. Stay tuned. Solar flare alerts: text, voice. "I also took some 28x zoom images of the wave structure," says Hart. The close-ups are a must-see. 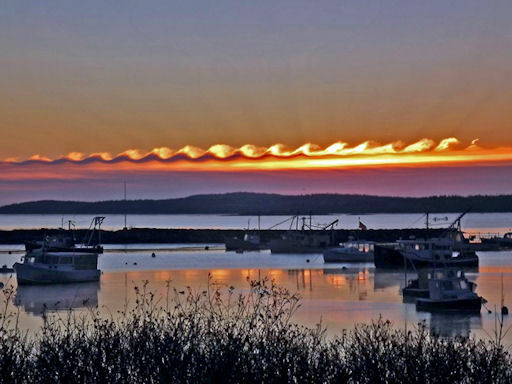 These clouds, sometimes called "billow clouds," are produced by the Kelvin-Helmholtz instability when horizontal layers of air brush by one another at different velocities. A better name might be van Gogh clouds: It is widely believed that these waves in the sky inspired the swirls in van Gogh's masterpiece The Starry Night. "It was a beautiful event," he says. "What a perfect Christmas gift this was!" adds Gustavo Rojas of São Carlos. "I managed to capture the giant planet just as he started to disappear behind the lunar disk." 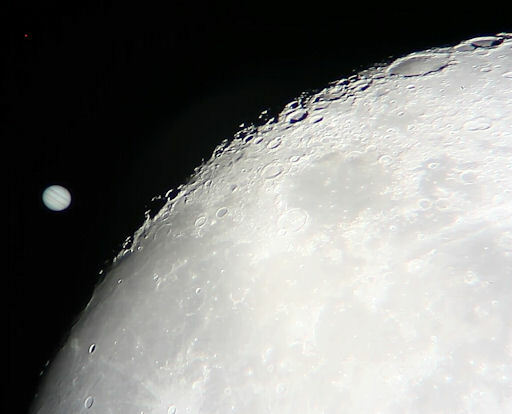 In case you missed it, there will be more lunar occultations of Jupiter in 2013. A complete list is available from the International Occultation Timing Association. On December 28, 2012 there were 1362 potentially hazardous asteroids.